Broken Social Scene is the third studio album by Broken Social Scene, released on October 4, 2005. In addition to the musicians who contributed to the band's prior release You Forgot It in People, new contributors on Broken Social Scene include k-os, Jason Tait (The Weakerthans) and Murray Lightburn (The Dears). The initial domestic pressings of the album were issued with a seven-track bonus EP, EP to Be You and Me, a play on Marlo Thomas' children's record album Free to Be... You and Me. The Japanese release is still issued with the EP. The vinyl pressing was released on two records, the first three sides being the album and the fourth being the EP. The album was certified Gold in Canada on September 14, 2012. The album was originally to be titled Windsurfing Nation. Additionally, the original artwork was to be a cartoon rendition of Pangaea, which was later scrapped in favor of the current artwork drawn by lead singer Kevin Drew. The song "Ibi Dreams of Pavement (A Better Day)" refers to Canadian novelist Ibi Kaslik, a friend of the band. It is also suggested that Broken Social Scene is used as basis for a band that appears in Kaslik's second novel The Angel Riots, about a rising indie rock band from Montreal. Kaslik attended the Etobicoke School of the Arts with members of the band and helped them on their first tour of Canada and the United States. Although Kaslik stated "It's definitely based on a world that I know", she brushed off claims that the connection goes very deep, saying "it would be mistaken and scurrilous to try to identify individual people". She warns against "scouring the pages for thinly disguised characterizations of [...] Kevin Drew, [...] Emily Haines or [...] Amy Millan". At the 2006 Juno Awards it won the award for Alternative Album of the Year. It was also shortlisted for the 2006 Polaris Music Prize. However, the album divided critics more than its predecessor, 2002's You Forgot It in People. Whereas the earlier album had received almost universal critical praise, Broken Social Scene's looser, less structured songs were praised by some critics, but derided by others as self-indulgent and sloppy. Nevertheless, the album reached the number-one position on American college charts and received widespread critical acclaim in the UK. As of 2008, sales in the United States have exceeded 108,000 copies, according to Nielsen SoundScan. All songs written by Kevin Drew and Brendan Canning. Despite the EP having a limited release, two music videos were made for the songs, "Her Disappearing Theme" and "Major Label Debut (Fast)". The instrumental introduction to "7/4 (Shoreline)" is used as the theme music for CBC Radio One's Mainstreet programme broadcast on CBHA in Halifax, Nova Scotia. ^ "Gold Platinum Database: Broken Social Scene - Broken Social Scene". Music Canada. Retrieved 2012-09-28. ^ Perez, Rodrigo (2005-07-15). "Broken Social Scene's Hard Road To Windsurfing Nation - Music, Celebrity, Artist News". MTV. Retrieved 2012-02-08. ^ a b Wagner, Vit (2008-03-27). "Kaslik draws on indie band connection for novel". The Toronto Star. Toronto: Torstar. Retrieved 2008-09-18. 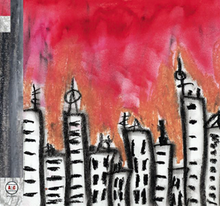 ^ "Reviews for Broken Social Scene by Broken Social Scene". Metacritic. Retrieved May 12, 2012. ^ Wilson, MacKenzie. "Broken Social Scene – Broken Social Scene". AllMusic. Retrieved May 12, 2012. ^ "Broken Social Scene: Broken Social Scene". Blender (41): 135. October 2005. ^ Simpson, Dave (January 27, 2006). "Broken Social Scene, Broken Social Scene". The Guardian. Retrieved May 12, 2012. ^ "Broken Social Scene: Broken Social Scene". Mojo (146): 119. January 2006. ^ "Broken Social Scene: Broken Social Scene". NME: 29. February 4, 2006. ^ Dombal, Ryan (October 3, 2005). "Broken Social Scene: Broken Social Scene". Pitchfork. Retrieved May 12, 2012. ^ "Broken Social Scene: Broken Social Scene". Q (234): 125. January 2006. ^ Ringen, Jonathan (November 21, 2005). "Broken Social Scene: Broken Social Scene". Rolling Stone. Archived from the original on March 16, 2008. Retrieved May 12, 2012. ^ Day, Adrienne (October 2005). "Broken Social Scene: Broken Social Scene + EP to Be You and Me / Metric: Live It Out". Spin. 21 (10): 138–40. Retrieved November 11, 2016. ^ "Broken Social Scene: Broken Social Scene". Uncut (104): 100. January 2006.